It [the rumor] is not true. We are just planning to move to LA. Currently we have an office in NJ, but we should have the branch office in West Coast, because of time differences and access are much better than NJ. Also, Ignition USA is located in LA (Marina Del Ray), so recently we have done co-publishing announcement with them. We will keep our NJ office until 31st of December for our direct publishing in North America. Then we will move to LA. Previously as SNK NEOGEO Corporation, we had an office in LA. 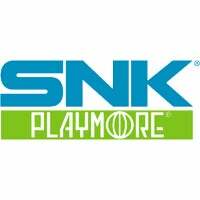 [SNK founder] Mr. Eikichi Kawasaki is Chairman of SNK PLAYMORE USA. We will renew and revitalize our US corporation. We must keep our US corporation in North America. Currently we are developing KOF12 for next gen consoles, as you know. How can we close our US office? It is 10M$ project, we want US people know our passion for 2D fighting games. We want to show that SNK is sticking to making 2D fighters and is the world leader in 2D fighters. So there you go! SNK isn't closing its US branch and is dead serious about the US market and 2D fighters. Eds Note: The information we received from SNK is incorrect as nothing official has yet been announced about the US SNK branch, other than it is not closing down.